Dr. Noam Schneck is a New York State licensed clinical psychologist practicing at Principium Psychiatry in New York, NY. Dr. Schneck earned his Ph.D. in clinical psychology from Fairleigh Dickinson University. He provides psychological treatments utilizing cognitive behavioral therapy, insight-oriented therapy, and mindfulness approaches within the context of a warm and caring relationship. Dr. Schneck has vast experience treating children, pre-adolescents, teenagers, and adults. He is also an assistant professor of psychology at Columbia University. Patients visit him for the treatment of a spectrum of concerns, including substance abuse, schizophrenia, anxiety, post-traumatic stress disorder, and bipolar disorder. His research work investigates the processes by which unwanted and painful thoughts come to mind and influence behavior and life functioning. 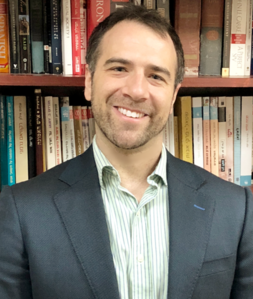 Noam Schneck, Ph.D. is a member of the Principium Psychiatry practice group led by Ziv E. Cohen, MD., a board-certified psychiatrist on the faculty of Cornell and Columbia Universities. Dr. Schneck’s philosophy is to provide holistic and evidence-based care that is respectful of the concerns, values, and aspirations of his patients. He believes in empowering his patients to achieve their greatest potential.